Boyds, Md. – The Washington Spirit Maryland and Virginia Academy U15, U16/17 and U18/19 squads are in Lakewood Ranch, Florida this week to compete in the U.S. Soccer Girls Development Academy Winter Showcase. 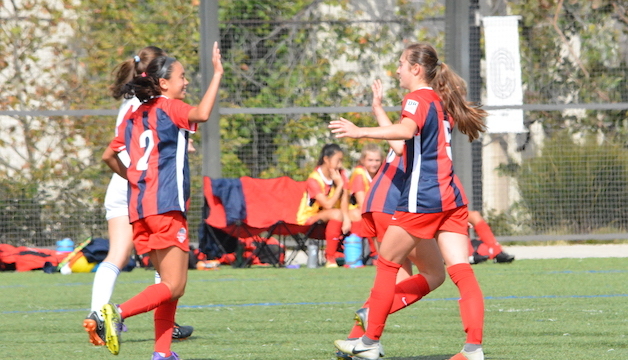 Each age group from the Spirit Academy’s VA and MD teams will play three matches each, against opposition they would not normally play during the regular season. Winter Showcase opponents are chosen based on location, style of play, and other similar factors, which aims to make each game exciting and competitive. The event will take place from December 5-9. Below are the full schedules of the MD and VA academies at the showcase. Each game is scouted and evaluated by U.S. Soccer’s Talent Identification department, while the majority of the Federation’s Youth National Team staff is on-site to scour the Premier Sports Campus for future YNT call-ups. Over the course of the event, there will be a total of 44 scouts, six Talent Identification managers, two Talent Identification directors as well as Talent Identification support staff on-hand at the Premier Sports Campus. The Winter Showcase is also a prime spot for college recruiting, with over 400 scouts pre-registered for the 2018 event. Follow the Spirit Academy’s progress at the Showcase on Twitter @WashSpiritYouth and on Instagram washspirityouth.